Hey there. I’m Vaishali and I am the author and recipe creator at Holy Cow! This blog started out as a hobby all the way back in November 2007, not long after I turned vegan (thanks to my great old dog Lucy! Scroll down for her picture). Today, it reaches millions of readers with original, fresh, healthy and delicious recipes that I cook up in my kitchen. I live in lovely Silver Spring, Maryland, a suburb of Washington, D.C., with my husband Desi (also the food photographer for the blog), our son Jay, our dogs Lily and Leo, and our cats, Billy and Kala Jamoon. I have always loved animals, and I’ve always loved food, and I went vegan after realizing that I didn’t want to mix the two anymore. I used to be a journalist, but I quit that to work full-time for an amazing organization where I help make the world a better place for animals every day. This blog, not connected to my job, is a labor of love — I want everyone to know that vegan food can be amazing, and what better way to save animals than to stop eating them? As a working mom, it is important that my recipes are easy, quick, healthy, and hassle-free without compromising on taste. This is food we eat in our home every day, and you can be sure that if we don’t like a recipe, it won’t be here on the blog. My goal here is to get you inspired to cook and bake delicious vegan food in your own kitchens, regardless of whether you are an expert or a novice. At Holy Cow! you will find easy, healthy and tasty vegan recipes. 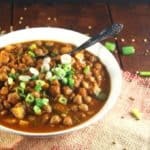 I was born in India, so you’ll find tons of Indian vegan recipes here. Because I’m mom to a picky 10-year-old, a lot of my recipes are kid-friendly. And because I was diagnosed with an underactive thyroid, I cook, eat and post many, many gluten-free and soy-free recipes. I also love experimenting with global cuisines, including Mexican, Italian, and Middle Eastern, and I love to bake, especially bread. All recipes use clean, wholesome, natural ingredients, most of which are already in your pantry. But don’t just expect a recipe– I like telling you the stories behind the food I serve up. You can also expect some chatter about the wonderfulness of animals (especially mine :)). On this blog you’ll find pages and pages dedicated to all the wonderful dogs and cats who have been part of our family, including our current group of furry troublemakers. 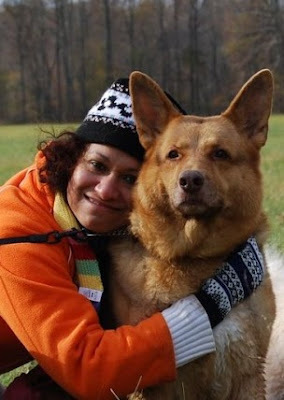 Leo was rescued from a dog meat farm in Korea and flew halfway around the world to find a home with us, Lily was a street dog rescued from Puerto Rico. Billy, our adorable tuxedo cat, was found roaming the streets of Virginia. Kala Jamoon, our resident black cat, simply wandered off the streets to settle into our hearts and home. I update Holy Cow! several times each week, so be sure to check back often for updates. You can sign up to get new recipes by email (top or in the sidebar). And you can follow Holy Cow! on Facebook, Pinterest, Instagram and Twitter to keep up with what’s cooking here. I love to hear when you make a recipe from this blog, so if you do send me a photo at MyVeganWorld@gmail.com, or post it on Instagram and tag me @HolyCowVegan. Recipe List featuring nearly 1,000 recipes and photographs that have appeared so far on this blog. Recipe Index, where you can browse recipes by photo, date, and category. I love it when you make my recipes, but if you’re a food blogger who wants to post a recipe you first found here or were “inspired” by, I ask that you do not pretend that the recipe is yours or repost the full recipe without my permission. It happens only too often these days, but I stick with a strict code of ethics on my blog — to always link to the original source when there’s one — and I don’t think it’s too much to expect others to do the same. Lucy, my gorgeous mutt who set me on the path to a vegan life. She passed away in 2012, but lives in my heart forever. Thank you, Lucy. I love you. Hi! Love the site! Did you recently remove a recipe for vegan banana cake with peanut butter frosting? 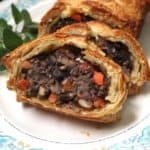 My husband is vegan and I kind of promised to make it for thanksgiving and I can’t find it on the site! We have made it before, for vegans and non, and everyone loves it!! Thank you, in advance, so much! Hi Katie, I changed my blogging platform recently and some things went a bit askew, which is probably why you couldn’t find the recipe. Glad you’ve enjoyed making it–here’s a link. A happy Thanksgiving to you! Vaishali, I love this blog. I’m a first gen Indian-American and vegan for 3years. Found you when I googled vegan gajar halwa–my fav dessert. Thx for the recipes. Was browsing some comments (some are old) and had a couple comments. First, my dogs are vegan, mostly due to food allergies, but also because the crap in dog food is horrific. Worst quality meat, and usu made in china so risk of toxic kidney injury is a real fear. I buy a vegan dog food. I don’t work for them or anything, but they are a small company out of Cali, where the food is made, and they ship for free via FedEx. I won’t name them as this isn’t meant to be a sales pitch, but I figure if peeps are interested they can find the company with minimal Internet research. Third, for folks in India, it is definitely harder to be vegan. The PCRM has a kickstart India 21 day program with recipes and encouragement on being vegan. I also recommend looking at recipes for almond milk that can be made really easily at home (I prefer almond to soy milk in my tea). Finally, thanks again for such an upbeat and informative blog. I’ll probably bug you again when I go up to NoVa to visit my sister. Hi Priya, thanks for your lovely message. And for the information about vegan dog food. I have seen some dry vegan dog food brands at a small boutique pet store that’s near my home but never tried because I’ve been making all of Opie’s food and also his treats myself– not vegan, unfortunately, because he won’t eat it. Does this California company do dry food or wet or both? I am glad you recommend PCRM’s India Kickstart. I worked for PCRM many years — in communications — and worked on recipe development and all the media outreach for India Kickstart when we launched it. It was fun, and I think we came up with a really good product. Feel free to bug me anytime. 🙂 Always happy to answer questions. I wanted to thank you for this wonderful site! Each recipe looks more delicious than the last. I keep getting distracted – and now there is a banana cake with peanut butter frosting!? Are you kidding me?! Thank you, thank you. I am delirious. Thanks for your kind words, Jocelyn, and I am so happy you like the site. Have a great Thanksgiving! Hi Irene, You can enter your email in the Get New Recipes by Email box in the right sidebar. I will go ahead and add your email to it now. You will receive an email asking you to confirm the subscription which is completely free. Once you confirm you will start getting each new recipe as I post it. Hope that helps. Thanks for your lovely words, and have a happy Thanksgiving! thanks for the great article on cast iron pans in indian cooking. i wanted to purchase an enamaled cast iron casserole pan. will that work with indian food. i am also trying to stop using a non-stick and start using other products. Hi Anon, yes, you can definitely use a enameled cast iron pot for Indian foods. Happy cooking! Thanks, Jane. 🙂 It’s lovely to hear that. Hi V, Love your site. I had a question from the Lotus Seed Curry…I’m assuming I could sub in pure cashew butter (just ground up raw cashews) for the cashew paste. In your recipe, you have 1/3 cashew + 1 cup water…do you recall just how much paste you ended up with? Thanks!! Hi Gilly, cashew paste is just cashews, no water, so it would be far more dense than a paste made with water and cashews. Just use 1/3rd cup of cashew paste mixed with a cup if water. Thanks for that! I’ve made this twice now and both times it’s turned out great! I love your blog!! I am going to try the masala recipes( esp goda masala). Thanks so much for all the recipes…. Thanks, Mona, so happy you like the blog and plan to try the recipes. Happy cooking, and happy holidays to you. Hi Paramasivam, thanks for your kind message. A dhokla with garbanzo beans sounds very doable, and I promise to try making– and posting– one soon. And you’re right– keeping up with spices and other Indian ingredients is a full-time job indeed, but an enjoyable one as I’m sure you’ll agree. 🙂 Happy holidays to you too, and a great new year! For the past few years I have been hesitant to make homemade bread, but you have completely changed that mindset for me. 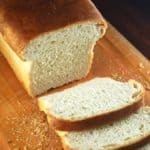 I recently made your Whole-Wheat French Bread and it was surprisingly easy to make and tasted amazing! I shared the bread with my co-workers who love it as well. Today I began my sourdough starter shown on your website and I look forward to trying new recipes! Hi, thanks for the suggestions. I do have many fat-free and low-fat cooking and baking recipes in the archives, and I will continue to post more. I stumbled upon your website while looking for a vegan Aviyal recipe. I am a Tamilian and have been a vegetarian all my life. I recently switched to Veganism since I was already eating predominantly vegan foods. Just thought I’d make the jump and see how I feel. Physically, I feel great and seem to have a lot more energy. I’ve been trying out a lot of recipes but my husband, who is also a Tamilian, loves all the traditional foods. My kids are all over the place when it comes to foods that they like and agree on. So I find myself quickly becoming a short order cook. Thankfully they are all vegetarians and are willing to put up with my experiments. So far they have liked all the vegan recipes I’ve tried out. Cooking without ghee and milk is easy but yogurt is another story. So I am very excited to try out your Aviyal recipe. Also, I do have a sweet tooth and I was feeling a bit despondent that I’ll be missing out on all the Indian sweets. But now that I’ve found your website and all the delicious recipes for gajar halwa, etc., I can’t wait to try them all out. One quick question, I tried warming up some dates with almond milk for a vegan date cake recipe that I found on another website and found that the almond milk separated and looked most unappetizing. I saw that your gajar halwa recipe asked for the carrots to be cooked in the almond milk and was curious to see if you had any separation of the milk. Also wanted to mention that we have a couple of connections: I have two friends named Vaishali, both from Bombay, one of whom is my best friend! Also, I have a dog too (not vegan or even vegetarian) who we adore. I know you lost yours a couple of years ago. I am sorry for your loss. I dread the day when our Sparkie will leave us to go to Puppy Heaven. He is almost 13 and we can’t imagine a life without him. The almond milk can separate while making the halwa, but keep in mind that dairy milk also separates when you cook carrots in it. In the end, the liquid is all going to evaporate anyway and the solids will be left behind, so it doesn’t really matter. That Avial recipe is one of my and Desi’s favorites, so glad you are trying it out. And nice to know of our connections! Your Sparkie sounds adorable, and he is lucky to have a family that loves him so. My dogs have never been vegan or vegetarian either– it didn’t seem right to impose on them my food choices once I went vegan. Finally, welcome to the blog! I post regularly, so do come back. And there are a ton of Tamil recipes on the blog. Oh! And I forgot to mention that I live in the DC metro area too! In Virginia. Thanks and I look forward to being in touch. That’s great!Hope our paths cross some day. Not sure where to comment but I discovered your blog today and have already made the Greek Lima bean recipe which is so delicious and easy. Too delicious. I’ve had three bowls of beans in two hours! Can’t wait to try some of the other recipes. hi, i like the idea of making eggless cake when i run out egg at home or at work. my step kid is bugging me to make her a birthday cake so she can share it with her friends at school. the problem is, many kids here have allergy, so it has to be eggless, no nuts or its kind and gluten-free. i am still looking for easy cake recipe that fits all of that. so, if you come across such recipe, would you kindly share it in your blog? thank you so much. best regards from Australia. Bekti. Hi Nikita, you’re the best– thank you for those lovely words. I am really happy that the recipes have been helpful, and even happier you let me know. 🙂 Hugs. Hi Sharon, thank you for letting me know! So glad you liked the chickpea pancakes– they really make a great substitute for eggs, don’t they? I whip these up each time I want something healthy without putting too much work into it. One of my favorite recipes too. Hello-I found your site through Fat Free Vegan. I would also like to participate in your month of May blogging event. I make many of Susan’s recipes and will do so this month. How do I go about submitting my recipe review and photos? Hi Lauren, The event you’re referring to was an old one– a few years back, in fact. Sorry! 🙂 But thanks for visiting, and for your interest. this morning I was on Pintrest and I saw a beautiful pin for Sweet potato patties. I could not find the recipe. Is this a traditional food of India? I have sweet potatoes in my kitchen that I think would be perfect for such an occasion. Just hoping you do this on your beautiful food site. FYI, if you ever decide to move to Toronto and open a restaurant, I will quit my job and come work for you. I will make these little puppies on Wednesday. (Tues. is grocery day.) I will let you know how wonderful they probably are. ….Namaste little lady. Hope you enjoy them, Mary! 🙂 Namaste, and have a great weekend. I just made and ate those little sweet potato and kale patties. OMG! They are so good. Crispy on the outside and creamy and gingery on the inside. The chili powder I used was that really deadly hot stuff you get at the Indian spice store. It was magic. Toronto is India central. There must be a million Indian stores here. You name it and I will find it. Lucky, lucky me. Thanks for sharing. You’re the best. Hello Vaishali~ I’d like to make the Spicy Urad Dal but am unclear how much water to use to cook the dal. Thanks! This dish turned out to be quite delicious. I’d never cooked with this type of lentil. I’d read that some don’t appreciate their earthy flavor, but I’m a fan. The only oil I used was one tablespoon of Earth Balance for the garlic and spice instead of infusing in oil and adding Earth Balance at the end. It turned out very luscious just like that. Thanks for your awesome recipe. Our 2 Indian restaurants use ghee and yogurt in everything so I can no longer eat Indian out. If I want Indian I have to make it myself. I’ll be visiting you again & again! Namaste. stay inspired and motivated beyond my own creativity. Dear Hasita, Congratulations on the baby! That’s awesome news. And thanks for your kind message. 🙂 So thrilled you liked the new blog design, and also so happy to know that it’s easier to navigate now. I was aiming for exactly that, and your feedback is very good to have. 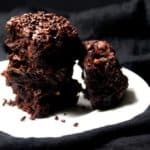 Hi Vaishali, just by chance happened to land up in your blog, and here i am, drooling over all your mouth-watering recipes.Your recipes are too good, easy to follow and love the pics.Congrats Vaishali and now I am going to be a regular to this wonderful blog, for sure. bye and good luck. Hi Jayashree, welcome to Holy Cow! and thanks for your kind words. I do hope you will try some of the recipes, and always feel free to ask if you have questions about the recipes. 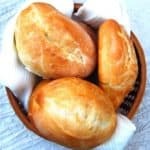 Hi, I love these Mexican Bolillo rolls and was wondering if I could use AP or bread flour for these? Hi Annie, thanks for the kind words, and yes, bread flour would work great. Have you ever heard of oat milk? I use it every day in tea or on cereal, or just fill a glass ind drink as is. I recommend it highly, it’s good. Wow, just discovered your website… Your recipes looks awesome and inspiring!!!! Can’t wait to try some of them!!!! Hi Vaishalu, I have been receiving and enjoying your posts for some time. And always puzzled about double posts for the same recipe. In my haste to get my inbox cleared I forget to check why this happened. Today again I received your potato recipe from another subscription. The same one that consistently sends the same recipes like yours. Please see Vegan Richa online. Her recipes and photos are identical. I can’t figure out why. When I tried to sign up again it kept coming up as an error. But, anyway, I love your recipes and blog. It is truly the best. I miss getting your stuff in my email. I hope everything is well with you and your family. How is your little boy doing? Take care and Namaste, baby! Namaste, Mary, and of course I remember our conversations in the messages. Thanks for letting me know about the email. I tried subscribing you with the email id you had given, but it threw up an error message for me too. There doesn’t seem to be a problem with the subscription widget itself. Is there another email I can subscribe you with? You can write to me at myveganworld[at]gmail.com. I’ve just seen your site and really like the way you experiment with different cultural cuisines. It makes the dishes more interesting and flavorsome. Keep up the good work..
Wow. Lucy sure was a beaut! And they do stay with you, for always. Yes, she certainly was a gorgeous creature! Wow, just found your website and am so sad that I’ve been missing out for so long! Excited to try some new recipes starting with the African Peanut Soup tonight. Thank you for sharing your beautiful plant-based creations, Vaishali. My Punjabi husband and I have been vegetarians for more than 40 years and I am getting more and more interested in vegan cuisine. So happy I found your website. And even happier to hear that you are an animal lover. We have 3 wonderful dogs, a sweet cat, and a very old horse. I will definitely be a regular visitor to your website, as I absolutely love the recipes. Will make the roasted Brussels sprouts today. You have such a wonderful blog out here, with really great pictures. Really hats off to your pics. How do take such photos? Is there a course to learn how to take such beautiful pics? And last, saw the pic of Lucy. Her skin looked gorgeous and reminds me of skin of mountain bear. I feel she was someone who would ferociously protect its loved ones. Which breed was she? I’ve tried a few of your recipes and they all taste so very good. I lived in India for a few years and love Indian food though can’t enjoy it too much as I’m allergic to milk products. And, that is why your recipes are such a joy to me – I can make so many dishes now that I couldn’t before. Anyway, keep it up and I made the black eyed peas with sweet potatoes yesterday and it was a HIT. For your sourdough starter can I use a large ziploc bag to store in the refrigerator? Thanks so much!! Morgan, sorry for the late response, but yes, you can. I am so thrilled I found you! I was vegetarian for four years, newly vegan as of November of last year. I also was sent down the vegan pass through my beloved animal companions (rabbits), both who passed last year. I LOVE to bake, LOVE to prepare Indian food, and am so excited to get started on some of your wonderful recipes. The vegetable vindaloo is on the menu for this week! I do not even remember when i started to look at your blog. for a long time i dod not know how to get to the logs. One day i googled ‘goda masala” and found the blog named ‘bhatukli’ and i was hooked ! i also love cooking but only Marathi cooking i learned from my elders. In 87 my hubby had a heart attack and then my mom passed away. I guess that is when i guess I found my first blog. now there no stoppong. I have changed my cooking a whole lot. I am not young by any means but my husband’s different dietary needs is when i turned to blogs. But here is the first time i have written a comment . I love your blog and i was looking at it and thught it is not nice to folow you and not tell you aboutit. So here it is! I love your blog and am thinking about turning vegan. BUT a lot depends on my husband.SO let us see! Dear Rekha, what a lovely message, and thank you so much for your encouraging words. Whether or not you decide to go the vegan way, I hope you will find the recipes here useful. There is tons of evidence that a plant-based diet helps reduce cholesterol and prevent heart disease. But I also understand that it can be hard to convince people to change their diets– trust me, I run into that with Desi all the time. 🙂 Good luck to you both, and wishing you many years of good health. i have been fllowing lots of blogs because i love cooking, ALthough these days my hubby does not care what i cook. he has certain things he eats and that is that. Perhaps those thing do agree wtih him. i wish though, he tries my creations. well! i am happy he is still with me and that says everything! I love your vegan food. It is delish and very nutritious I have been away from my native PuNe for about 40 odd years and learned to cook lots of “new ‘ trendy thing from the blogs. WE are both happy that i have found your blog! Love you and what you creat!! Vaishali, I am a new fan. I LOVE your recipes and have made several recently that turned out so well. THANK YOU!! I am traveling to D.C. for work in June. Do you have any suggestions for nice restaurants where I can take people who are not vegan, but where I can eat? Hi Lauren, thanks for your kind words. Where in D.C. will you be located? There are a number of great options for vegans/non-vegans in D.C., with Indian restaurants and Thai restaurants being the best options since they offer a variety of vegan dishes (as opposed to most other restaurants which will have one or two vegan/vegetarian options only.) If you can tell me a preferred location, I might be able to pinpoint something more specific. Vaishali, great to have stumbled upon your blog. I haven’t tried anything yet but am excited to do so. My husband and I, live in Baltimore but are both from Mumbai and love Indian food – except I am mostly vegan (weekdays and nights) and he is an omnivore. Your recipes are going to come in handy when I try to expand my repertoire beyond the simple dals and beans I usually prepare. Thanks for sharing. Hi Mavis, how lovely to meet a fellow Indian who is now almost a neighbor. 🙂 I love Baltimore, one of my favorite cities on earth. Thanks for your kind words! Hi Vaishali, i just saw the photo of Lucy after visiting your page and she looks like such a wise doggie. beautiful pic of your pup. what she is shows clearly on her face. you were luck to have her. Hi Anon, she really was the most special pup, and I miss her so very much. I was — and am–truly lucky. I am so excited to have found your website and have added to my favorites. My husband I have been maintaining a plant based diet with occasional fish for six months now. We love how it has transformed our health, bodies, and what it does for animals! We love to cook and our daughter introduced us to Indian food several years ago. We eat a lot of curries and rajma masala is our current favorite. Can’t wait to branch out and try your recipes. Thanks for sharing!! Thanks, Danielle, hope you try! I would like to personally congratulate you as your blog Holy Cow! Vegan Recipes has been selected by our panelist as one of the Top 100 Vegan Blogs on the web. I cannot praise your site enough! First of all, I must give thanks to Indian cooking, which showed me the way to take my family vegetarian 35 years ago, when there was virtually no help or guidance on how to do so (no internet). I raised my three children as vegetarians, and two years ago my oldest daughter showed me why I needed to go vegan; I only regret that it took so long for me to see the light. Nevertheless, I am ever so grateful. I absolutely LOVE to cook and I use your recipes religiously, to the amazement of family and friends. My heartfelt thanks to you for all you do to educate and delight us with your recipes. Thank you for your kind words, Cheryl, you are awesome. I think it’s so wonderful that you raised your kids vegetarian– it not an easy job, I know, because I am trying to keep my son, Jay, vegetarian but he is often tempted, I can see, by friends at school eating meat. I try and explain how our food “farms” work to him, and I hope one day he will understand. You are an absolutely amazing cook. Excellent job on posting all the recipes and the very appetizing photos . I have tried several of your recipes after getting introduced to your site by my sister Sujatha. Do you have a place where you have recipes for dog food and treats. I have a love bug called Murphey — a labradoodle , at 60 lbs he loves to eat. Wishing you many happy, healthy years of cooking ahead. Vaishali, I am so, so pleased that I have come across your website I was looking for a quinoa and chickpea burger recipe, Google brought me to your website, and I am so glad that it did! I have had a very quick peek at a few recipes, and I am in heaven! I can’t wait to start trying some of them out. I especially want to try the sourdough starter, as I am looking into starting this, along with fermenting as well. I know I am going to enjoy reading your blog and future recipes. Carry on the good work, I’m looking forward to learning more. Vaishali-I am so happy to have found your blog. I’ve been on here for a few hours already. I almost never take the time to actually reach out and comment, but tonight I have to! I absolutely LOVE your recipes. I love that they contain so many wonderful aromatic spices and herbs and interesting ingredients. I’m dying to go out and find myself a CURRY plant to nurture in my sunny Iowa window. Your story of Opie touched my heart. I lost my very precious Goldendoodle at only 7 years of age. From diagnosis to the end was only 6 weeks. And sadly, ther’se may have been a way we could have bought more time, but our vet was not of that mind. I don’t know how Opie’s story played out. I can only hope that whatever may or may not have occurred, you find solace in the loving and vigilant care you generously gave him. I love your pet names….Opie, Desi, Lucy, …. my beloved Goldendoodle was Arlo (after Alice’s Restaurant) and my current standard poodle’s name is Kramer (Yep, Cosmo Kramer) for the way he so indiscretely careens into the room. I wish you well and I will be a Big FAN!! Love your blog, love your recipes and so thankful to have found you. So glad you’ve liked the recipes– I hope you will try them, and I’ll be sure to check out your FB page. My husband and I have always enjoyed Indian food. We had never done much Indian cooking, but enjoyed already prepared dishes. When we went vegan, we have had to be very careful to avoid Indian foods that may have dairy in them, which was a challenge. For the holidays this year, my husband compiled a booklet of different recipes he found on your blog. He then went to the Indian market to select all of the ingredients and spices for each recipe. He surprised me with a large basket containing everything we needed to get started. Since then, we have been on a culinary adventure! We’ve made 7 of your recipes, so far. Not one has been a disappointment; they are all incredibly delicious! Thank you for putting together such a wonderful resource. You didn’t know it, but you have been a huge part of our learning and discovery of Indian cuisine! We can’t thank you enough. Hi Kris and Chris, your comment really made my day– or my whole week! Those are such lovely words to hear and I am so happy I contributed in a small way to making your holidays more enjoyable. 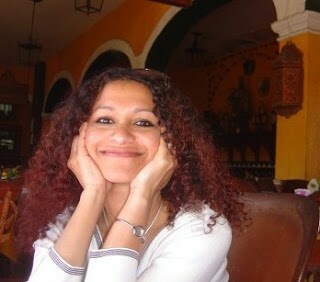 Hi Vaishali, Thank you for vegan recipes, I just found you on facebook now can easily find your recipes. I Just cooked this eggplant curry it is delicious . Love your recipes and thank you for being kind to animals. Hi Vaishali. Just found your site and am in the process of making cabbage rice as I had a cabbage in the pantry that needed a “home”. We are a WFPB (Whole Foods Plant Based) household (my and my husband) and have discovered the tantalizing flavours of Indian Cuisine. Looking forward to making many more recipes from your blog. WOW 800 recipes!!! 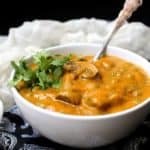 I live in the U.K. and came across your website as I’m looking to do a curry evening with my lovely neighbours next week. However, as I’m not vegan or gluten intolerant and quite keen to change my ways to become more gluten and vegetarian, I’m desperate for some advice on what you may suggest as simple recipes. I’ve found some of your lovely curry recipes and a raita but any ideas on sides or desserts ? Any advice would be greatly appreciated – I think there’s an Indian store near to where I live that I could visit for some ingredients. Vaishali, thank you for your great recipes and stories. This week my CSA box contained three little sweet potatoes and I was going to ask if you could not use measurements like “2 large sweet potatoes,” but I realized that was a ridiculous question. If only this was the most difficult conversion I’ve ever had to do. So never mind about the measurements. I’m glad I didn’t really ask! Again, thank you for the excellent website. Jean, you can substitute three little sweet potatoes for two large ones. 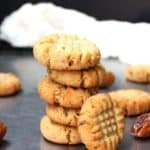 Since this is not a baked goods recipe, you can go with your instinct and adjust the measurements for the other ingredients upward or downward, to your taste. Thank you for being such an inspiration! I just cooked pasta with roasted pepper and my family loved it! Please publish a cook book.. would love to collect your recipe on my bookshelves. Keep up the good work! Awesome, glad you tried it! I would like to personally congratulate you as your blog Holy Cow! has been selected by our panelist as one of the Top 100 Indian Food Blogs on the web. 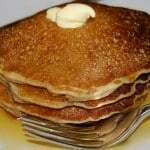 Thank you for sharing these great recipes on your blog. I have been trying off and on over several years to stop eating animal products for both my health and ethical concerns but so many vegan recipes are just plain boring. I just found your website recently and I am now a subscriber. I think your recipes, which look really delicious, will help me be vegan and stay vegan this time. What a wonderful vegan site! I’m looking forward to trying many of your recipes. Do you have a cookbook of your work? I just found your blog and the recipes look wonderful! I’m gluten-free vegan and it’s hard to find good recipes. I printed a bunch of them. thank you! 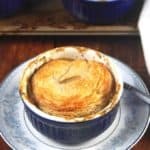 Hi, I absolutely love that recipe for Beef Pot Pie(and your site completely) but unfortunately I cannot use cashews (blended to a paste). Is there something else I can use in place of that? I meant to say the Mushroom Vegan Pie – was looking at something else at the same time!! Hi! Great job you’re doing here, I’ve been following you for some years now. Would be great if you published a book! Hi, Vaishali, Happy New Year! I’d love it if you wrote a post on what you feed your dogs. From the comments here, I gather they’re not vegan or vegetarian. My dog eats regular kibble, but I’m always looking to try new brands or even cook vegetarian food for him. His vet didn’t seem to take to the idea of homemade food, and the research online is so confusing. I’d love to know what other vegans feed their dogs. Thanks! I love your website and get a lot of tips from your website. I am South Indian vegetarian trying to go vegan and your vegan yogurt rice recipe (a staple of south indians) was my introduction to your website and I am hooked. Enjoyed the recipe. Made some modifications, added kale and mustard greens, and roasted the potatoes. Can’t find scotch bonnets here in WA, but I used a powdered version which I picked up last time I was in the Caribbean. Suggestions if I may… you may wish to keep the comments in reverse order…so the latest will be at the top…and LEAVE A REPLY to be at the top too perhaps? Can you give a recepie on vegan yogurt. I am. Converting in to a vegan from tomorrow. I Wil kiss yogurt though. Thanks for all the great recepies. I’ll definitely keep an eye for you recipes and stories and I’m alredy following you in fb. Hi Vaishali! Love your website and thank you for all of your hard work and dedication to spreading knowledge and tasty food! We are Bengali living in North Carolina, and we tried vegan, but ended up missing milk, yogurt and ghee, so we sourced some ahimsa milk 2 hours away. Otherwise we are vegan because of the heavy karma for mistreating animals. I didn’t read through all of the comments because there were so many but I wondered if you have a cookbook out. I have recently discovered your blog and made a few recipes and loved them. I am on the email list and keep saving your recipes in my Pinterest, but would be great to have them all in one book Thank you for the wonderful recipes and for caring about animals! Vaishali: Do you ever teach cooking classes? I’m a good cook. I studied cooking for 2 years many, many years ago in Paris, before I changed my way of eating. I love to take cooking classes. I also live in Silver Spring. 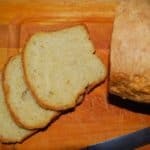 I love you oil free banana bread recipe but I can no longer find it on your site. I wanted to give the link to the recipe to someone on one of my FB boards who was asking for one. Can you add it back or send me a link? I am recently pondering on turning Vegan. I have been a lover of meat but recently I have been questioning it and I was searching for people like you who passionately not just practise but also out up amazing recipes to follow. I must commend you on your effort and love that you have shared with us. Thank you so much. I just wanted to say thank you for the wonderful and simple Naan bread recipe (the one with baking powder) I found on your Website. I made it yesterday to go with a dahl soup as part of a vegetarian meal. I decided to start having at least 2 vegeterian meals per week. And one way to make my dahl soup more appealing to my husband was to make naan bread! I will soon try the samosa recipe you posted this week as we love samosas but avoid those that are fried. And I also wanted to let you know that all of the cake/loaf recipes I have tried so far are SOOO delicious that people ask for the recipes. I tell them to browse your Website! I have been thinking a lot about giving up dairy and meat. I chanced upon your website and feel that you make it look SO easy for those of us on the wall contemplating. 1. So If I or my kids don;t drink milk anymore, then what are some of the vitamins or other essentials I would miss from not consuming milk and how do I replace them ALL? PS I am not one of those who would crave for something if I leave it by choice, an educated choice that is. So What I look essentially is for the nutrition supplement and not necessarily something that tastes like it and go find a replacement to fool my tongue. So for example, If I need to give up meat, and I can have broccoli instead, if that will supplement ALL of the nutrients beef had, then I would then not crave for any imitation meat. Instead, I try to make broccoli taste better and have that. 2. Same questions with giving up chicken and eggs? 3. Does going vegan mean I have to increase my intake of any vitamin tablets to make sure I wont have bone loss or other scarcity? Please throw some light overall and on particularly my questions above. Very nice site, I bookmarked and will try all the recipes one by one. PS: do you have a page with any comparison chart showing all of the dairy and meat against equivalent supplements in the vegan world that would provide the same nutrients? I don’t care for supplements that are there to replace texture and taste. Nutrients is my biggest concern. Dear Vaishali. I am throwing a Morrocan themed vegandinner party and really looking forward to making your Vegan Jackfruit “Lamb” Tagine. I am based in the UK and we buy tinned jackfruit in 400g cans (14.11oz), which contain 250g (8.82oz) jackfruit, when drained. I am uncertain about the jackfruit requirement for the recipe… do you mean 16oz of jackruit, after it has been drained? (i.e. I would need 2 cans?) , or 16oz whilst still in the water, then drained? I would be very grateful to hear back from you asap, and can’t wait to taste this dish. It will be my first taste of jackfruit, too. Hi Amanda, I mean the 16-oz tin, so it would be including the brine. Best! Hi! Thanks for the site!